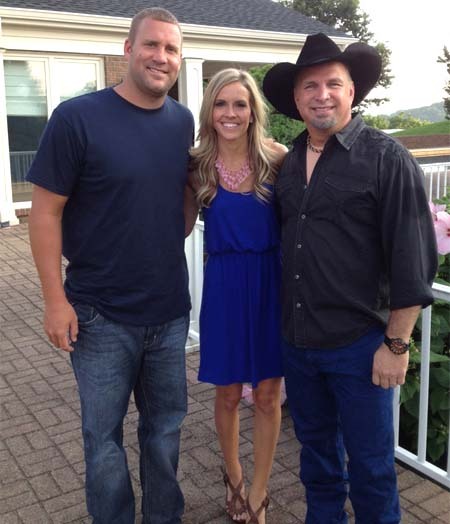 …at the home of country music icons Garth Brooks and Trisha Yearwood on Saturday evening for a special Teammates for Kids event! You can also see photos of Ben with fans Suni Keating and Brittny Dorsett here. Teammates for Kids focuses on helping children in the areas of health, education, and inner-city outreach. From funding Child Life Zones for pediatric hospital patients, to raising money for youth sports leagues, to paying for complicated facial and dental surgeries. They accomplish these goals by partnering with professional athletes, corporations, celebrities, and individuals from the private sector.